Boat to Occoquan day! Earlier this summer, myself and a few of my Snag-A-Slip teammates took an impromptu day trip (Thank you, Freedom Boat Club!) from the Yards Marina in Washington, D.C. to boat to Occoquan, Virginia. We had heard great things about this Potomac River cruise, so we had to see for ourselves why this trip is so popular. The 25 mile run took us about an hour and half in a 25ft Campion bowrider – a perfect amount of time to catch some rays, and take in the fantastic views that ranged from the Washington Monument, to lush green-dotted shorelines with some pretty spectacular mansions sitting on top. We took our time at the beginning and end of this run, mostly due to two No Wake zones coming out of D.C. and a long No Wake zone up the Occoquan River. This was no bother, though, as there’s plenty of wildlife and scenery to take in along the way. 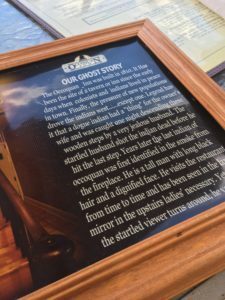 Prior to our arrival in Occoquan, we read up on the historic town – and while we visited in July, we decided that this is the perfect place for a seriously spooky October adventure. The town is widely known for it’s elaborate Halloween celebrations and creepy ghost stories! After pulling up to the town dock and tying the lines, we didn’t waste anytime in our exploring. Please be aware, there are rocks very close to the dock, so proceed slowly with caution. 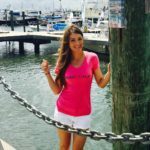 You also have the option to dock with our amazing partners at Hoffmaster’s Marina and Occoquan Harbor Marina if you’re staying for an extended period of time. 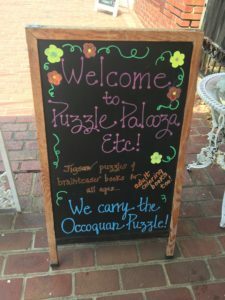 Our first stop in town was an awesome puzzle shop called Puzzle Palooza. This neat boutique had just about every image you could want made into a puzzle. Holidays, birthdays, famous people, countries, flags – you name it, they had it! From beginner to advanced, this was a great place to snag the center piece for your next family fun night. 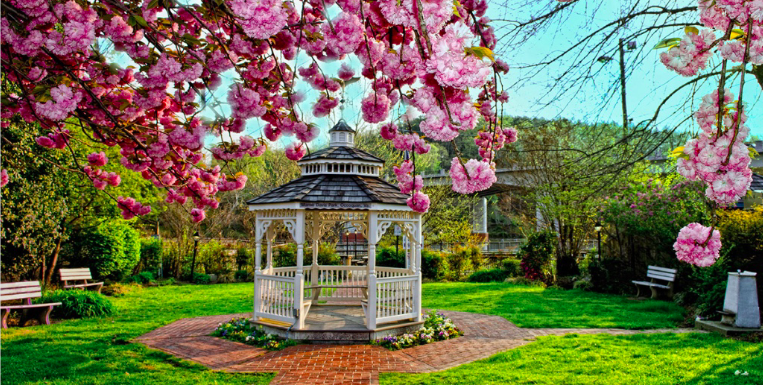 A few minutes walk down Mill Street, we found ourselves at the doorstep of the Occoquan Inn. We learned quickly by the kind maître di that this is the most haunted restaurant in town, so of course we had to check it out. After a little browsing of the building, we sat on the back deck and enjoyed a cold one with a view of the Occoquan River while our welcoming waiter gave us the run down on the Occoquan Inn haunting. Legend has it, this building is still home to the last native Indian who lost his lover centuries ago. He has been known to have his reflection appear in the mirror upstairs. Yikes! While we could’ve spent days wandering around town, we had to head back after completely creeping ourselves out at the Inn. 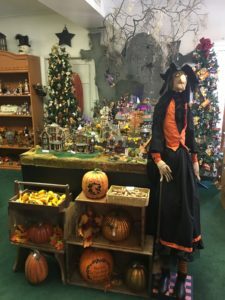 We did grab some cool information on fun events in celebration of Halloween. On October 28, join in on the “Haunt the Town in Occoquan” fun in search for 6 Halloween Characters throughout town. Then, grab the family and watch “The Amazing Kevin’s Magic Show” for some magical fun. If you’re planning on making this a group trip, sign up for one of the Haunted Occoquan Tours. I can’t recommend enough that you make the trip down the River and see what all the “boo’s” are about! 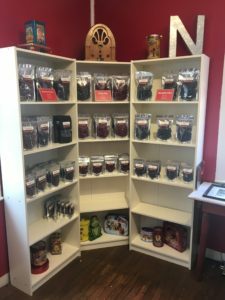 Have you been to Occoquan? Share your stories below!